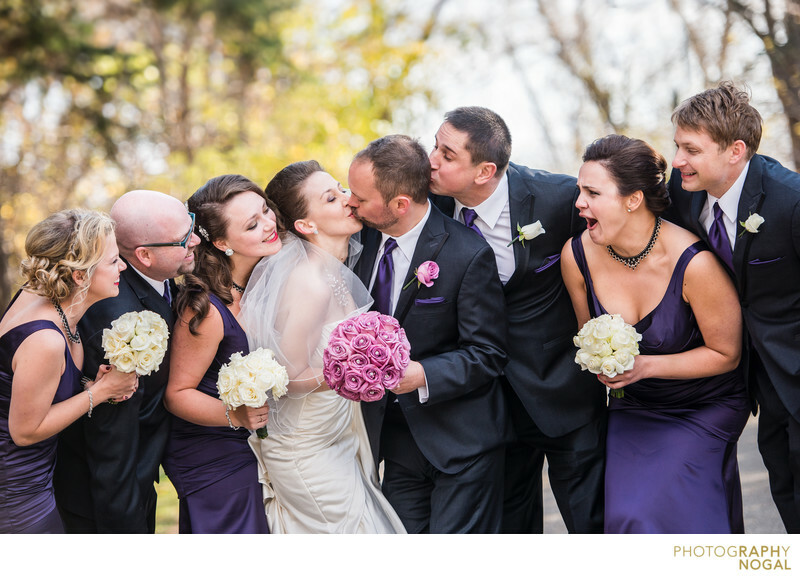 During a wedding party directed photo as Samuel Smith Park in Toronto, I asked the Bride and Groom to Kiss... and spontaneously, the Best Man wanted a piece of the action and started kissing the back of the Groom's head. The reaction of the wedding party completes the story quite well. Its a fun unexpected moment that occurred between another moment. This was also one of the coldest September weddings I photographed and the Bridesmaids were all troopers embracing the cold weather.